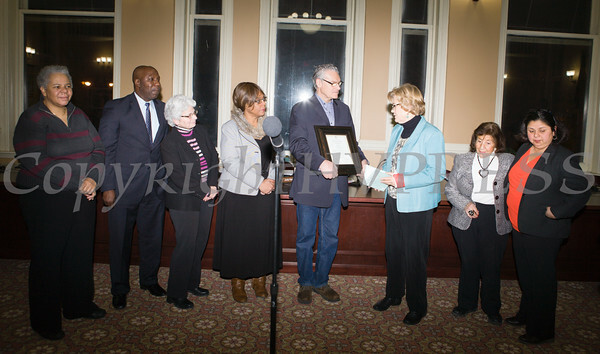 The Newburgh City Council recognized Rev. Deborah Dresser, the Newburgh Girl Power Program, Chief Michael Ferrara and retailers who voluntarily chose not to sell tobacco products on Monday, January 12, 2015. Newburgh City Council recognized Chief Michael Ferrara for his 42 years of service on Monday, January 12, 2015. Hudson Valley Press/CHUCK STEWART, JR.